Chetna joined Codman Academy in 2015 as the Partnership Director. Before starting at Codman, Chetna was the Director and the Epidemiologist for the "Special Diabetes Prevention Program for Indians" on a native Indian Reservation land- Zuni, NM. Chetna started the diabetes prevention program after securing a $ 2.5 million grant from Indian Health Service. A wide range of community-based interventions were developed, including lifestyle modification, an Olympic size swimming pool and a state-of-the-art Workout Center, to enroll and encourage Zuni Tribal members to reduce their risk of diabetes, obesity and other chronic conditions. Prior to this gratifying and challenging position, Chetna has a chance to work at Centers for Disease Control, Atlanta, Wisconsin Health Department and Maryland Health Department as their Chronic Disease Epidemiologist. Chetna got her Masters in Public Health Degree from John Hopkins Bloomberg School of Public Health in 2001. Chetna is also a watercolor artist. Thabiti joined Codman Academy as the founding Humanities teacher in 2001 before serving as Academic Dean and Codman's first (and only!) Principal. Prior to joining Codman, he taught at the Beacon School in New York and at the International School of Panama. Thabiti is a recipient of a 2005 Milken Educator Award. He is a member of the Codman Square Health Center board of directors. In 2011, he was awarded a Lynch Fellowship for Boston school leaders affiliated with Boston College Graduate School of Education. Thabiti's special interest is in schools as community centers. Thabiti is a graduate of Brown University (BA in American Civilizations) and Teachers College - Columbia University (MA in Social Studies). Meg co-founded Codman Academy in 2001. Prior to founding Codman, she was the founding Executive Director of Expeditionary Learning Schools and a former Lecturer at Harvard Graduate School of Education where she taught courses in curriculum and school design. Meg is the first charter school leader to serve on the Boston School Committee, where she co-chairs the School Quality Work Group. She is the 2013 recipient of the Grand Circle Travel Foundation's highest award: the "Lewis Changing People's Award" and a recipient of the 2009 Barr Foundation Fellowship. Meg serves on the SquashBusters Board of Directors, the Dorset Theatre Festival Advisory Board, and recently served on the Boston Public Library Compass Committee. She was a founding board member of the Margarita Muniz Academy, a dual language BPS high school, and of the Women's Heritage Trail. Meg is the author of two collections of poetry: More Love (Midmarch Arts Press, 2010) and Solo Crossing (Midmarch Arts Press, 199) as well as an editor of Split Verse: Poems to Heal Your Heart (Midmarch Arts Press, 200) and Literacy All Day Long (Kendall Hunt, 200). She earned her A.B. from Harvard University in History & Literature, her M.S. from Wheelock College in Early Childhood & Elementary Education, and her C.A.S. from Harvard Graduate School of Education in Social Policy. Meg has lived in Dorchester over 30 years, where she raised two daughters. Sandra joined Codman Square Health Center in 1994 as Chief Operating Officer. In February of 2011, the Board of Directors appointed her as Chief Executive Officer of the Health Center. In addition to her role as CEO of Codman Square Health Center, she is also co-CEO of Dotwell, a partnership organization that was formed between the Dorchester House Multi-Service Center and Codman Square Health Center. Dotwell provides non-clinical services to patients of both health centers. In June 2007, the Massachusetts League of Community Health Center honored Sandra with an Outstanding Employee Award. She also holds a Bachelor of Science from Simmons College and RN certification. She served on the Women’s Health Partnership Board. 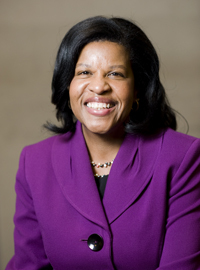 She currently serves on the Dotwell Board of Directors, Boston Medical Center Board of Directors, Neighborhood Health Plan Advisory Committee, BMC HealthNet Board and the Codman Academy Charter School Board of Directors. Cotterell has been involved in nearly every aspect of running Codman. She plans on continuing the vision of building a foundation of preventive and primary care services that engages consumers and embraces innovation — while never losing sight of our mission to provide access to care. One of her first goals is to ensure that the transition between leadership is seamless and doesn’t disrupt patient services. Scotland specializes in communications, marketing and community engagement. In addition to his work at CSHC, Scotland operates a successful photography business, Give and Take Pictures. He is a graduate of The Massachusetts Institute for Community Health Leadership operated by the Blue Cross Blue Shield Foundation. Scotland received his BA in Philosophy from Gordon College. Tony focuses his practice on strategic, development and external relations efforts, including government and community relations, marketing, public relations, communications and governance matters. He is currently managing the Codman Square Health and Education Center capital expansion project, a $14.1M addition to the 637 Washington St. facility. Prior to joining Codman, he served as Chief Governance Officer at the Boston Stock Exchange, where his responsibilities included external relations, communications, governance and membership. 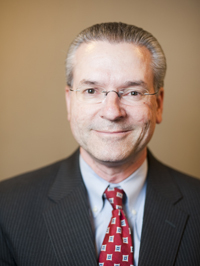 An attorney by training, Tony serves or has served on a number of non-profit and foundation boards, including the Massachusetts Bar Foundation (past-president), Boston Securities Traders Foundation, Holy Family Hospital of Methuen (Caritas), Andover Retirement Board, and the Women’s Educational and Industrial Union, among others. Tony is a graduate of Boston College (’84) and Suffolk University Law School (’87). Bill is most associated with the re-development of the Codman Square area of Boston, a multi-cultural community which foundered in the 1970s and became an area known for racial unrest and economic disintegration. Bill was founder and CEO of the Codman Square Health Center, a major factor in the regeneration of the community. Bill is founding president of Codman Academy Charter School. The health center’s innovative efforts have made it nationally and internationally known. Bill has worked on community regeneration efforts in a number of countries around the world. Currently, Bill is CEO of the South End Community Health Center in Boston. Bill is founding president of the Massachusetts Nonprofit Network, and is on the Executive Advisory Council for WBUR Public Radio. He is chairperson of the Board of Trustees of Bunker Hill Community College. He is a past President of the UMass/Boston Alumni Association and is on its Board of Visitors. He is a founder of the Edward Kennedy Health Careers Academy and is founding president of Boston HealthNet. He is president of the Massachusetts Business Alliance for Education and serves on the board of the Rappaport Center at Boston College. Bill served on both Governors Deval Patrick’s and Charlie Baker’s Health Care Transition Committees and is a Barr Fellow. He has received numerous awards for his work and ideas. Prior to her retirement in 2013, Mary Weber was a partner in the corporate group and concentrated her practice on mergers and acquisitions, securities offerings and other corporate finance. Mary advised various public and private companies and their boards of directors with respect to corporate governance, securities regulation and general legal matters. She also represented private equity firms in acquisitions and in securities offerings by portfolio companies. Mary’s clients operated in many industry sectors and stages of development including retail and consumer company The TJX Companies, Inc., optical technology company Microvision Inc. and drug delivery innovator Control Delivery Systems. Mary represented TJX in its acquisition of Bob’s Stores out of chapter 11, Gillette in its acquisitions of Rembrandt and Zooth oral care products and Duracell International and dispositions of White Rain and Jafra. She participated in many securities offerings including representing Gillette in the public offerings of several billion dollars of various debt securities and TJX in the 144A sale of contingent convertible debt.